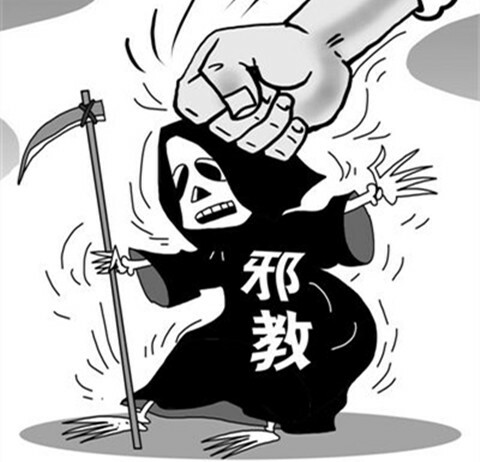 Are religious cults [邪教] suddenly resurfacing in Nanjing? Not to any immediately noticeable degree. But the local government here has been ramping up to counter spiritual sects, raising the question of what’s prompting some new policies. China’s recent history is replete with instances where cults and renegade religious organizations worried officials into a variety of reactions, the most well known of which was Beijing’s crackdown against Falun Gong that began in 1999. Nanjing in particular was smacked hard by the central government during that campaign, because the cult was said to have penetrated areas where university professors and local officials lived—people who commanded respect in their communities. Within a few years, however, Nanjing was seeking to reshape that strong-arm policy, experimenting with study sessions to convert cult members, instead of implementing Beijing’s hard coercion. While the actual success rate of this softer approach is uncertain, the effort does reflect how Nanjing is often unafraid to be inventive when it comes to reacting to social challenges. This time around, Nanjing is taking a two-track approach to religious cults, and its focus again seems to be Falun Gong. That’s the purpose of a new “Anti-Cult Social Association and Alert Education and Inculcation Center” [反邪教协会发人深省的反邪教警示教育中心] located in the Qinhui [秦辉] district of Nanjing. Instead of the usual posters containing warnings and other admonitions about religious cults, this effort uses theatrical performances designed to illustrate the danger of succumbing to unauthorized spiritual influences. For example, residents are reminded that traveling abroad they may be exposed to leaflets and other materials from cult members “sometimes disguised as Christians”, and to take care that they are not seduced by these approaches, or carry brochures back with them. 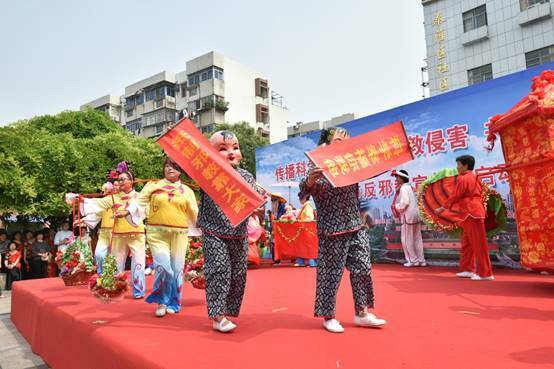 These presentations, dances, songs, exhibits, and even “anti-cult poetry couplet competitions” are now part of a citywide strategy underway to “create a strong anti-evil atmosphere”. Central districts in Nanjing—in particular those where Falun Gong infiltration was deepest in the late 1990s—are part of this campaign, with community members reminded, “to fulfill their civic duty to report criminal cults”. Local officials are also concerned with the city’s outskirts, which are often the new home for migrants from the countryside who are seen as lacking the sophistication to deflect the recruitment efforts of religious cults. Five communities in that region, news reports indicate, each now have “a special anti-cult classroom, a community library room with a special "anti-cult books corner", and a residents activity room featuring a wall with instructions about "simple ways to identify cults" and "how to discover cult activities". 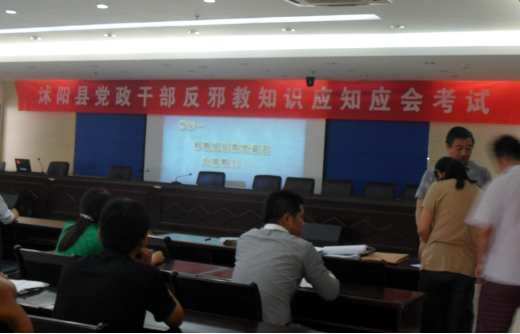 Other cities in Jiangsu province—Xuzhou and Nantong, for example—have also launched public education campaigns in recent weeks with the same purpose, as have some locations in Gansu province. Clearly, the possibility of religious cults gaining traction in local communities is a concern—enough so that party cadres are being assembled in some cities to watch films about the malevolence of spiritual sects, to educate officials themselves. What we haven’t seen is a public declaration from Beijing directing provincial and local governments to “go all-out in a struggle” [在斗争中全力以赴] against religious cults—or some such language that would indicate that spiritual organizations are a direct threat to social stability. That nonappearance probably means it’s Nanjing itself taking the lead in its own neighborhood. The government here is likely concluding that a faltering national economy, disruptive floods, and an increase in financial scams could provide fertile ground for the frustrated to search for solutions in realms other than the government. And officials in Jiangsu (as well as other provinces) may well have ground-level information that underground religious cults have been recruiting in certain regions. Cadres don’t launch politically campaigns just for kicks. If social stability is a worry for some this summer, then it’s shrewd for Nanjing officials to get in front of discouraged residents before they make the wrong move--and even smarter to do so tactfully, before Beijing gets anxious and angry and the truncheons come out again.